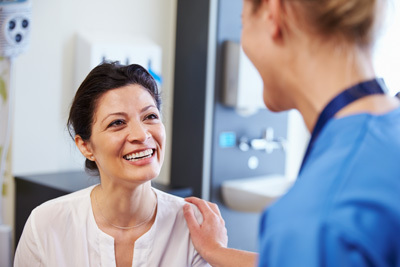 Here at South Lincoln Medical Center we offer a variety of services for women's healthcare needs. We want each of patients to feel comfortable and safe as your goals and concerns are expressed to our medical professionals. With our unique setup, our Clinic is located on the same campus as our Medical Center. This allows our patients the opportunity to receive prenatal care within the same facility as where they will deliver. After delivery, patients can continue at the same facility for post-partum care. Our Providers also offer pediatric care and family medicine for patients and their families. Each month through September, we will be offering prenatal classes for expecting mothers. Classes will be held every Wednesday during these months starting at 6:00 pm. Each course will last approximately four to six weeks. Any OB may attend regardless of their doctor, or facility of delivery. Our Radiology Department is certified by the American College of Radiology as well as the FDA. All of our Mammography Technologist are also registered with the American Registry of Radiologic Technologist. We are dedicated to detecting and identifying problems before they can evolve into a major medical issue.